Patapaa Amisty, the “One Corner Hitmaker” ha stated that he is the next to appear on Tim Westwood TV and to kill the show like Medikal and the rest did. 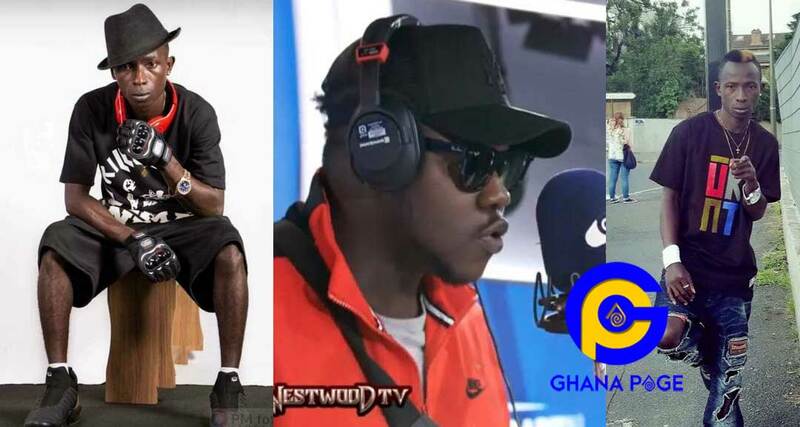 Patapaa took to Twitter to shower praises on Medikal for a splendid freestyle when he appeared on Tim Westwood TV two days ago. Medikal has got the whole of Africa talking on his freestyle when as part of his rap, he centered on how Western Media paint Africa black. He preached and encouraged the Western Media especially CNN to talk about the bad alright but they should balance it with the positive news. Among other things, Medikal told the world African is not a war-torn continent, Africa is not a country and Africans do not live on trees. This freestyle has got many people praising Medikal and Patapaa has joined the chorus. He revealed Medikal has done exceptional and he will be the next to be featured so Ghanaians should watch out for him. You killed it bro…I’m proud. Watch out for me next ? Well, we can only wait to see what the Swedru based artists can do and will do if invited. Time will definitely tell. 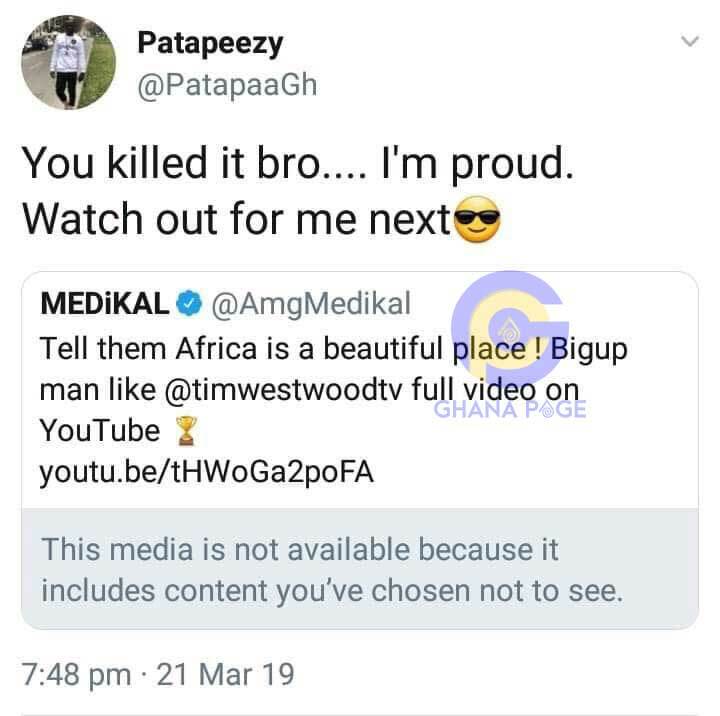 The post Medikal killed his freestyle on Tim Westwood; Watch out for me-Patapaa appeared first on GHANAPAGE™.